2. Place the egg and sugar into a mixing bowl. Using a whisk incorporate them together. 3. Next add the creme fraiche and combine. Then add the cream & elderflower cordial. Only use a manual whisk to do this and not an electric mixer. An electric mixer will create too many air bubbles. 4. Now add the vanilla seeds, zest and juice of your citrus fruits. 5. Allow to rest and settle for a couple of minutes. 6. Take 6 ramekins or whatever dishes you want to use for serving. Pour the brûlée mix in equal amounts into each dish. Take a hand held blow torch and give the brûlées a little blast from the torch just to remove any air bubbles. 7. Place the ramekins on a tray and bake in the preheated oven for approx 90 minutes. By cooking the brûlées below 100oC you don’t need to put them in a bain marie. The egg will not scramble and you will get an amazing texture. 8. After about 80 mins open the oven and give the dish a shake. If theres a slight wobble in the centre then take them out. Every oven is different so that’s why I say check after 80 mins. They might even take longer than 90 but I doubt it. 9. Once you take them out of the oven allow to cool and set completely before serving. Preheat the oven to 150oC. Place the butter in a large mixing & beat till soft. Mix in the sugar & salt. Sift in the flour & baking power. Finally add the chopped hazelnuts & form a dough. Pat out the dough to 1cm thickness. Cut into the desired biscuit shape & place on a baking tray. Place in the fridge to chill for 15 mins. Put into the oven for 25-30mins until cooked but not brown. Sprinkle with caster sugar & place on a wire rack to cool. Serve on the side of the Citrus Brûlée. Wade Murphy has over 20 years of experience in high end establishments ranging from 5 star hotels to 2 Michelin Star Restaurants. Wade and his wife now own and run the award winning 1826 Adare restaurant in Limerick, which has just been awarded Best Restaurant in Munster at the recent Irish Restaurant Awards in Dublin for the second year running. 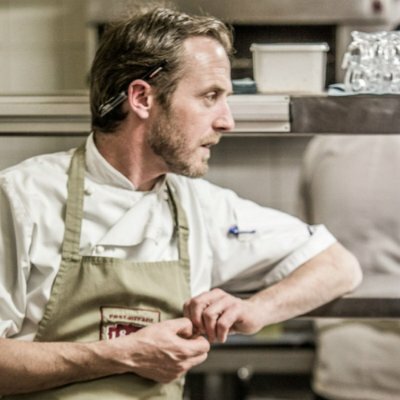 Wade is also a passionate advocate for European chefs all over the world and the the current President of Euro-toques Ireland.